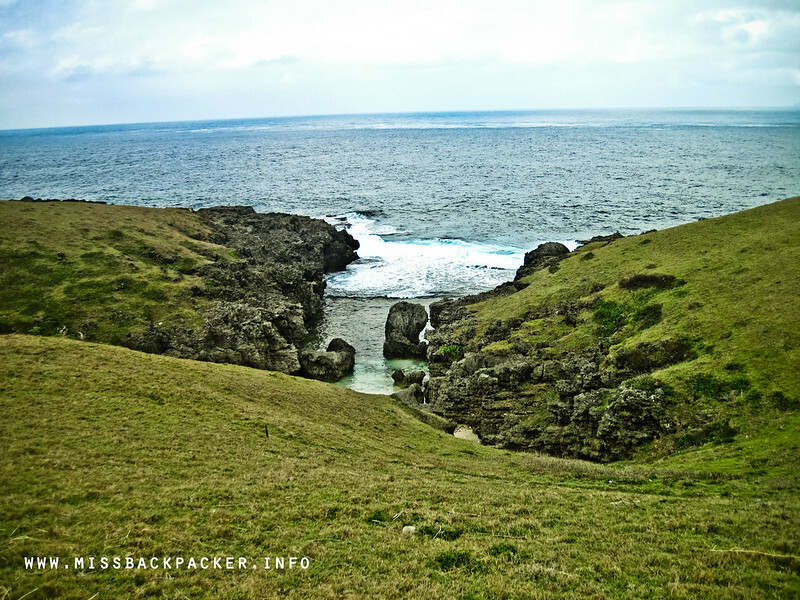 Sabtang Island, Batanes | Where Have You Been Lately? 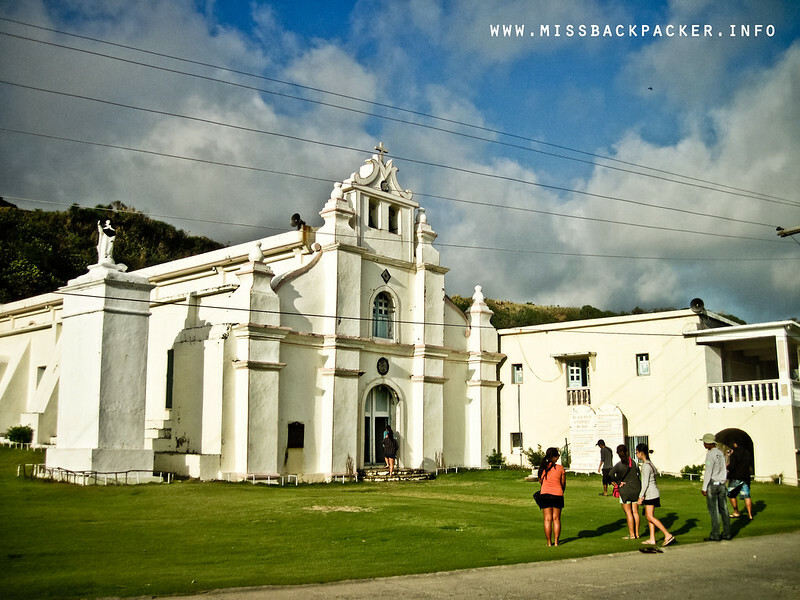 When we first set foot in Batanes, we really had no idea of what we would do in the province. And since we only have eight days to accomplish everything we could, we needed to come up with some sort of itinerary. We asked around and gathered some leaflets and flyers from travel agencies near our lodge which would serve as our reference. Because Batanes’ weather is so unpredictable, Rowjie and I thought that it’d be best to get done and over with Itbayat before anything else. We thought it’d better to be stuck in Basco while waiting for our flight back to Manila than be in Itbayat which is three hours away by boat from the capital. Next to our list was an overnight stay in Sabtang. 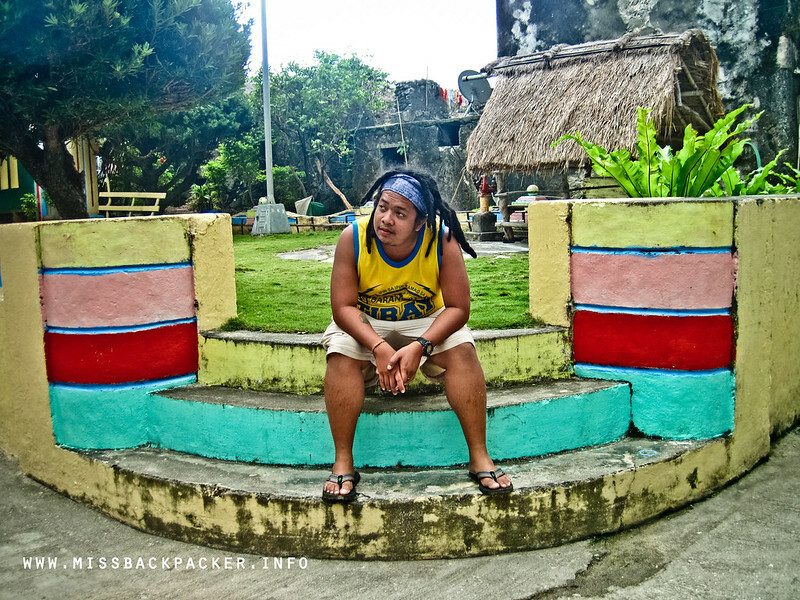 So our initial plan was to visit the two other islands first before roaming around in Batan. But everything changed when we found out that Doi and her friends were visiting Sabtang too. We had to join them, it’s better when there are a lot of people to talk to. 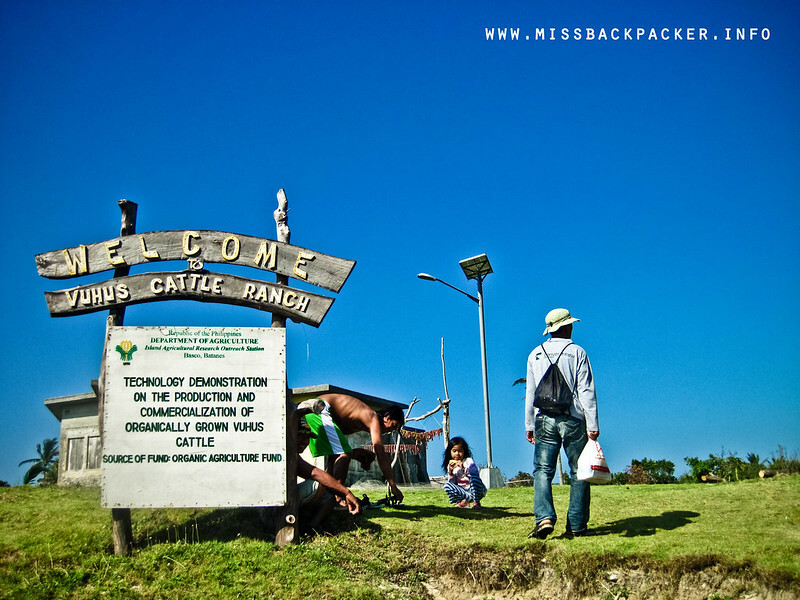 It was year 2010 when we first had a glimpse of Batanes’ beauty through Sports Unlimited. 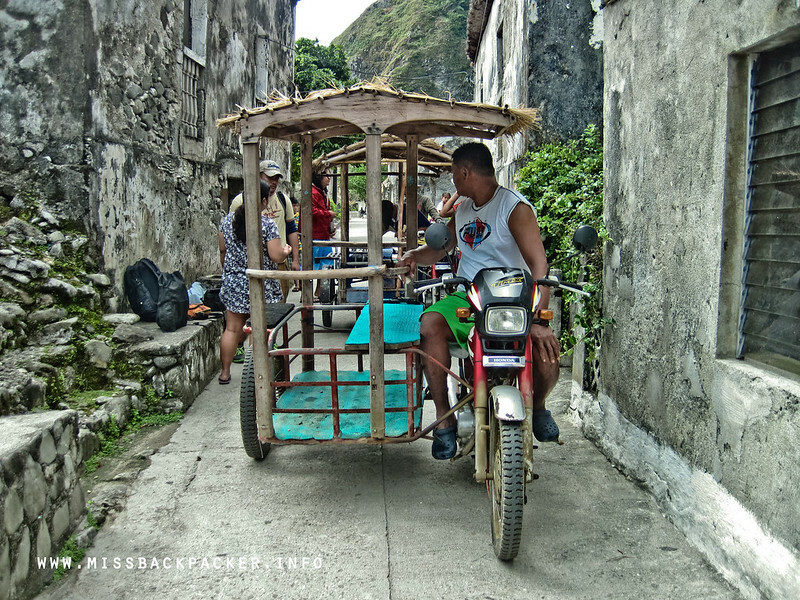 That episode of the adventure show showcased Batanes with Dyan Castillejo and Marc Nelson riding a bike. 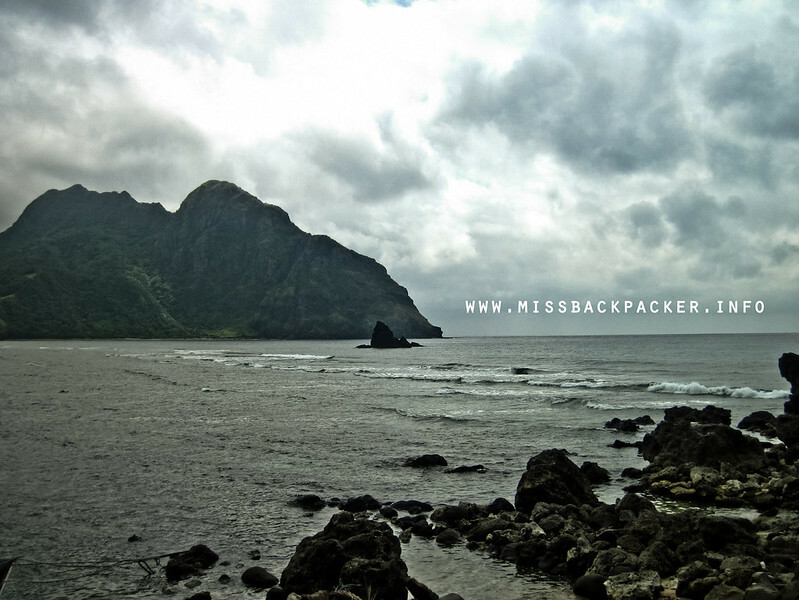 From that moment on, we dreamt of doing the same stint on the same spots of Batanes. With that still in our minds, we made a little research on how one can get around the province on bike. 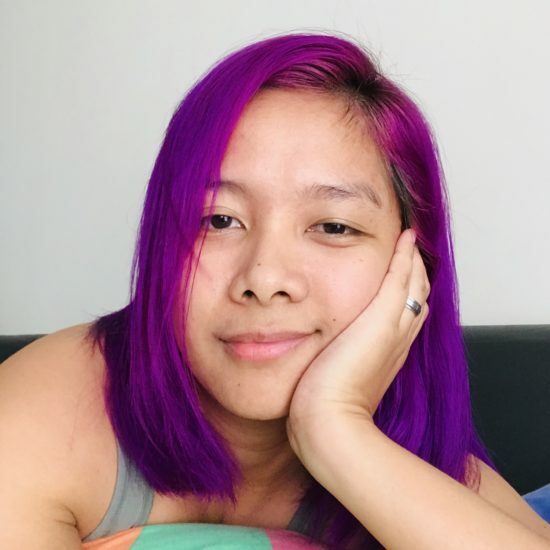 I stumbled upon Two2Travel’s blog. Before our flight, I told Rowjie how this Two2Travel couple roamed around Batanes on bike for 12 hours. Whew! This post won’t be much of help in terms of how much, what time, and who to contact. Me, Rowjie, Doi, Owen, and power couple Gian and April were like tourists joining a travel group. Everything was planned and arranged by Nikka and her two other friends (I’m so sorry my memory’s so bad, I forgot the names of the two lovely ladies). We did nothing but hopped on our cutie patootie tricycle, eat, and pay. San Vicente Ferrer Church – First and probably the last stop as well. Why? It’s the first thing you can see once you get off the boat or the last thing once you go back to Batan Island. It’s just across the Sabtang Port. As you may know, I am not a religious person and churches do not interest me. I didn’t pay much attention to the details of the church not even go inside of it. They all flocked to the church while Rowjie and I just stare at them. Vuhus Island – This is one of the spots that Sabtang visitors availing of the half-day tours usually miss. Aside from being more expensive, going to this island will consume half of your day. A few days before we went there, Agriculture Secretary Alcala visited Vuhus in hopes of making the island a possible source of the country’s first ever organic beef tapa export. The island is also known as Ibugos, Ibujos, Ivuhos, and Ibahos Island. Welcome to Vuhus Island, where number of cow residents is greater than the number of people. Crossing the 2-kilometer channel between Sabtang and Vuhus is one of the scariest moments in my life. 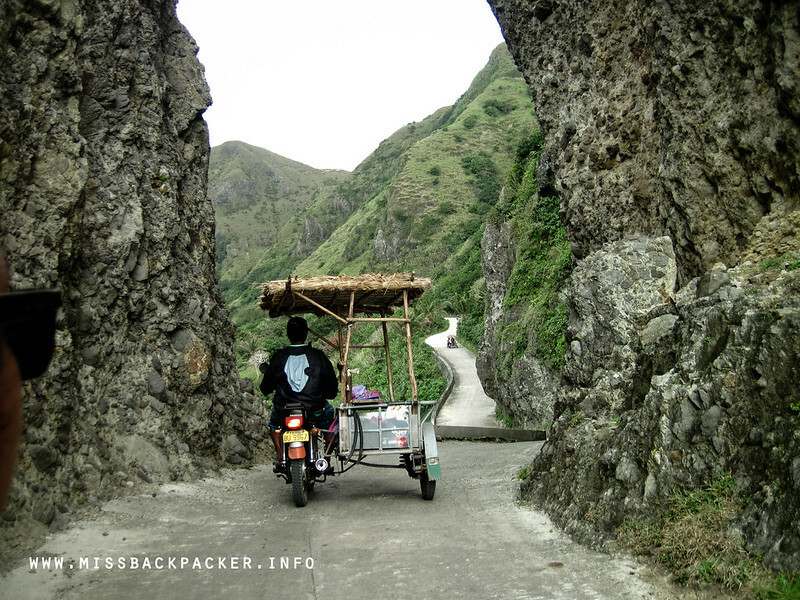 It was just a ten-minute ride but it’s scarier than our death-defying three-hour boat ride to Itbayat amid rains and gigantic waves. The boat we rode seemed too small for the group and the harsh water was surprisingly finding its way into the boat. I wish I could’ve recorded it but I was too busy thinking of how we were gonna get ourselves out of trouble once the boat capsizes. 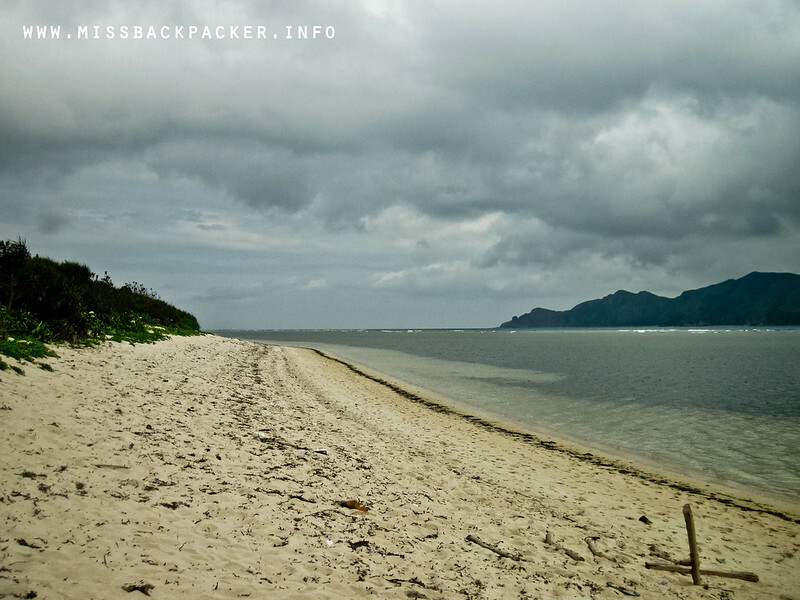 Not the perfect beach if you’ve already been to El Nido or Malapascua. 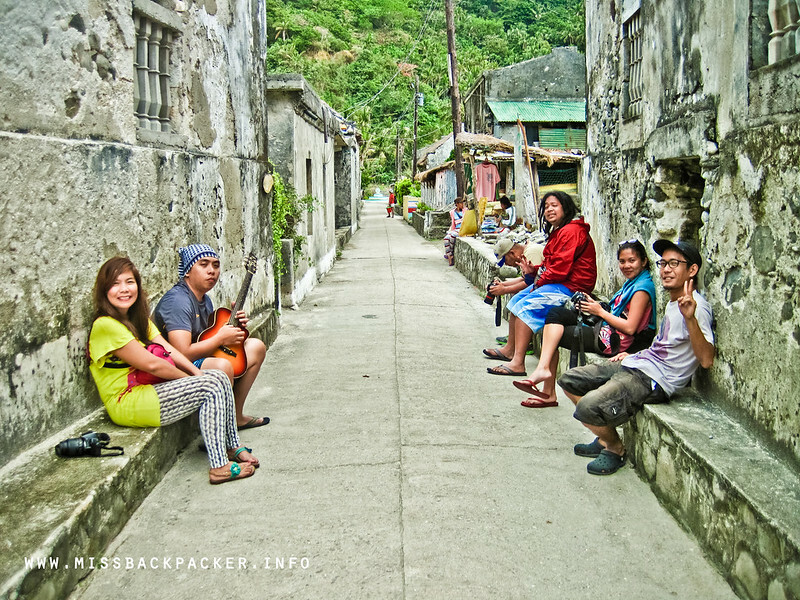 Sumnanga Village – The “Little Hong Kong” of Batanes. Our guide Kuya Rudy said that this fishing village is coined as such because of its similarities with how the trading industry in Hong Kong worked back in the early years (I don’t know exactly when). There’s not really much that you’re gonna miss if you skip this one. But hey, you’re already in Sabtang so make the most of it! With that kind of view, must be nice to spend your afternoons here. The weather was gloomy and it was drizzling during our quick visit in the village. 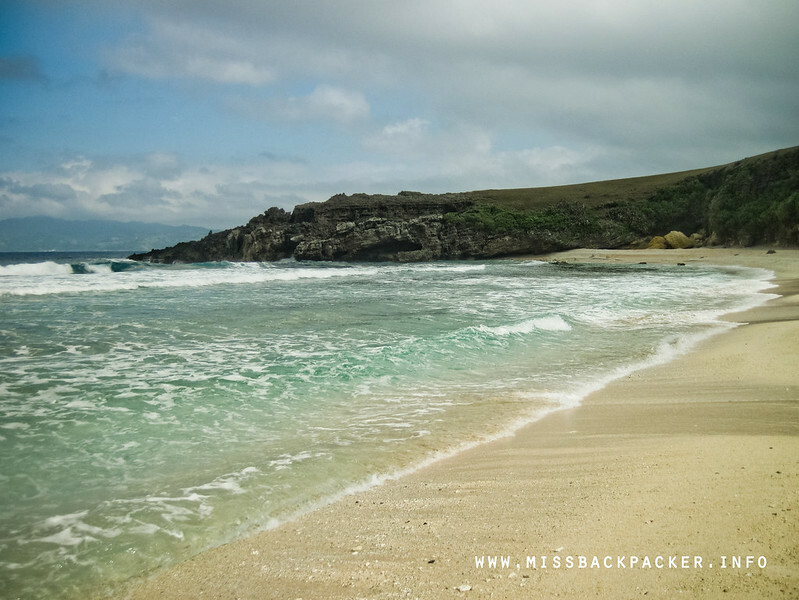 Morong Beach – The sand isn’t powdery as Boracay’s but the beauty of Morong Beach is comparable to all the famous beaches like of El Nido’s and Coron’s. The turquoise water, the inviting waves, the calmness of the place. 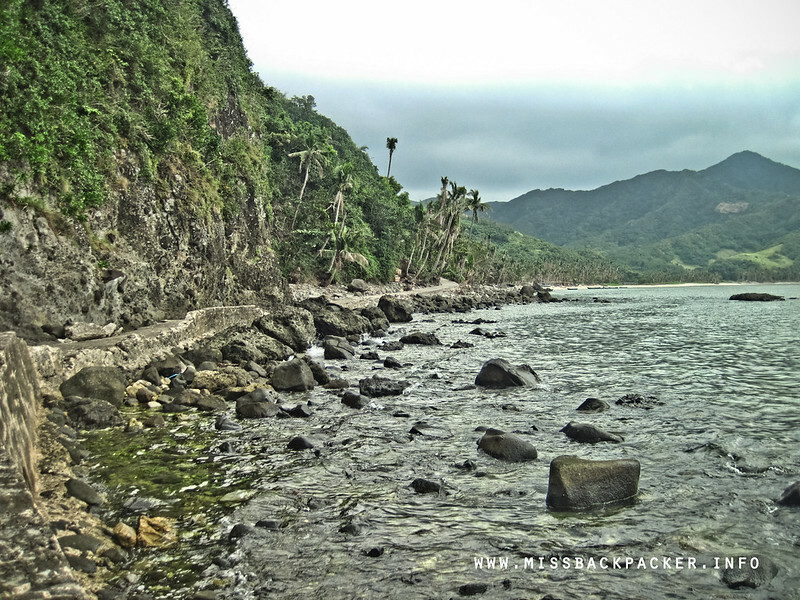 These and that are just some of the reasons why Morong Beach is loved by many. The photo may not capture the real scene that day but it definitely was windy and the waves were quite intense. I don’t know what makes this arch notoriously famous. Is there a history behind it? But whatevs. 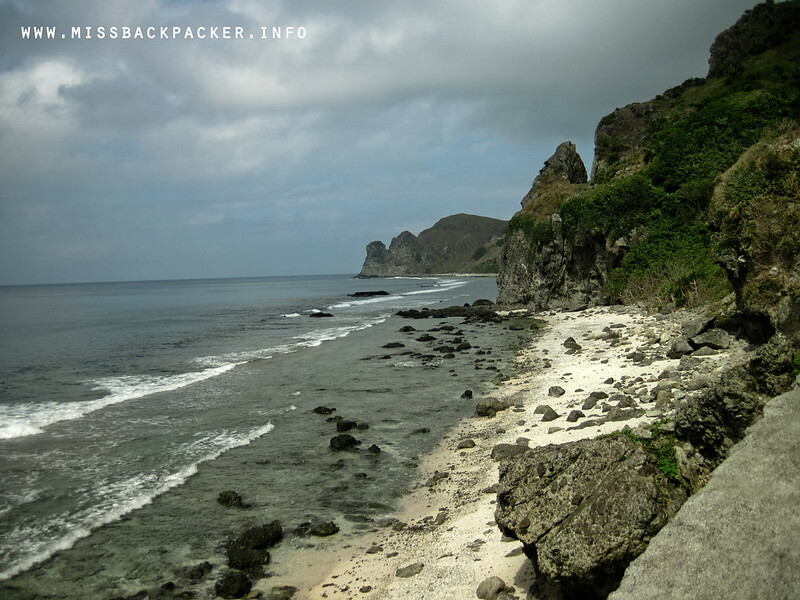 The dramatic beach and hill backdrop makes Nakabuang Arch standout from other natural arches you would see. 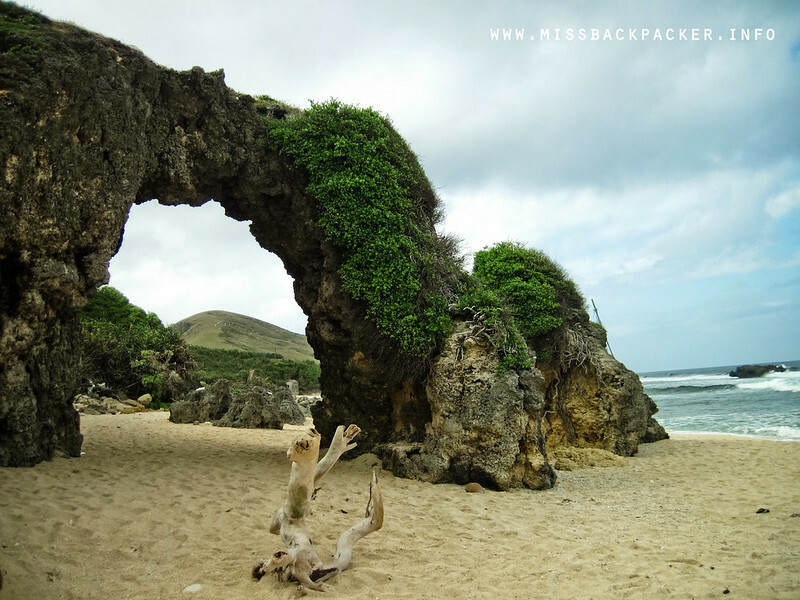 The famous Nakabuang Arch of Sabtang Island. 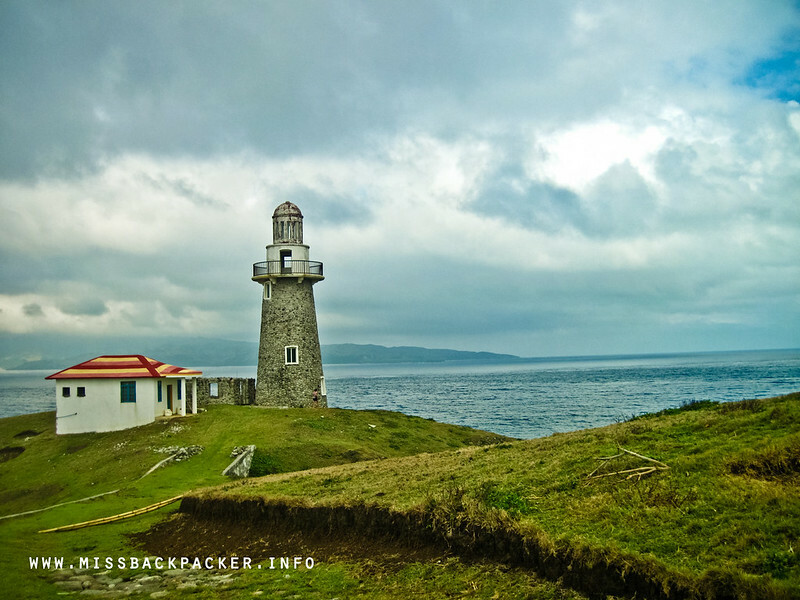 Sabtang Lighthouse – One of the famous icons of Batanes, the Sabtang Lighthouse, is just a few meters away from the Sabtang Port making it clearly visible from the gateway to the island. Like the other lighthouses in the province, it’s no longer functional but it still is an eye-candy. The picturesque view of the Sabtang Lighthouse will amuse every visitors. For Ian of Brownmantrips who we met on our second day, a day trip to the island is enough. He gave up seeing other spots in the island with just capturing the charm of the lighthouse and its surroundings. Dito pa lang, quota na siya. The not-so-great weather that day brought violent waves which we could feel even from afar. 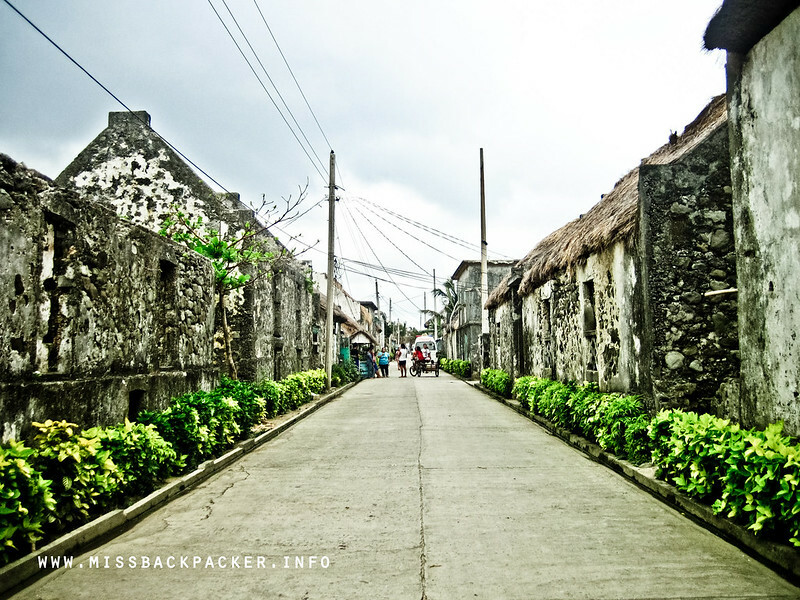 Savidug Village – The well-maintained village of Savidug is a reminder that no typhoons can put an end to a village so strong that has been weathered by many changes, naturally or culturally. Strolling around Savidug is so relaxing you’d forget that you have problems. Oh well, that’s just an exaggeration. The village will make you feel like as if you’re taking a trip down memory lane. Best place for being emo! 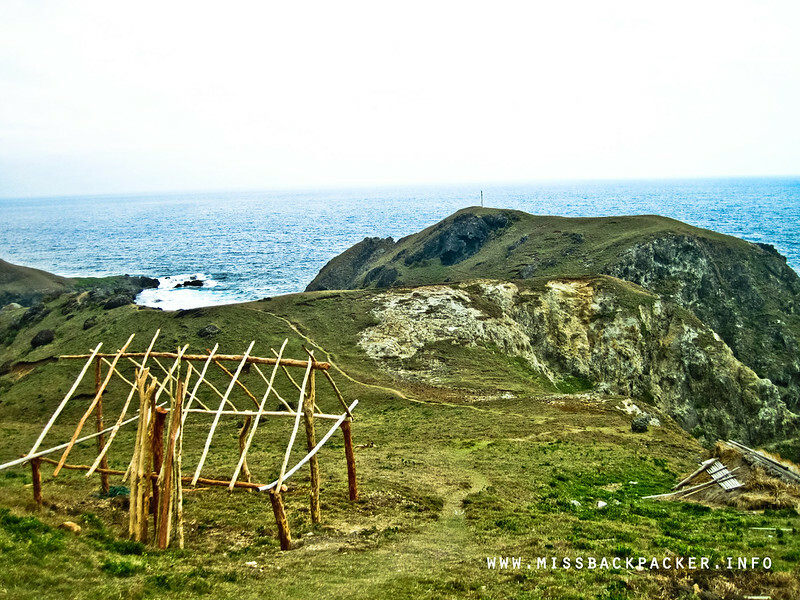 The houses made of apog (adobe) are still notoriously intact preserving the history and culture of Sabtang Island. Tiñan Viewdeck – When we reached this part of the tour, I felt so exhausted. Maybe because we went to bed late the night before and got up so early the next day. I just wanted to get this done and over with so we could rest in our last stop. Nevertheless, the view from this spot is as spectacular as the view from the lighthouse. Do not forget to drop by this viewdeck! The viewdeck, gone. Destroyed by one of the typhoons that passed Batanes. 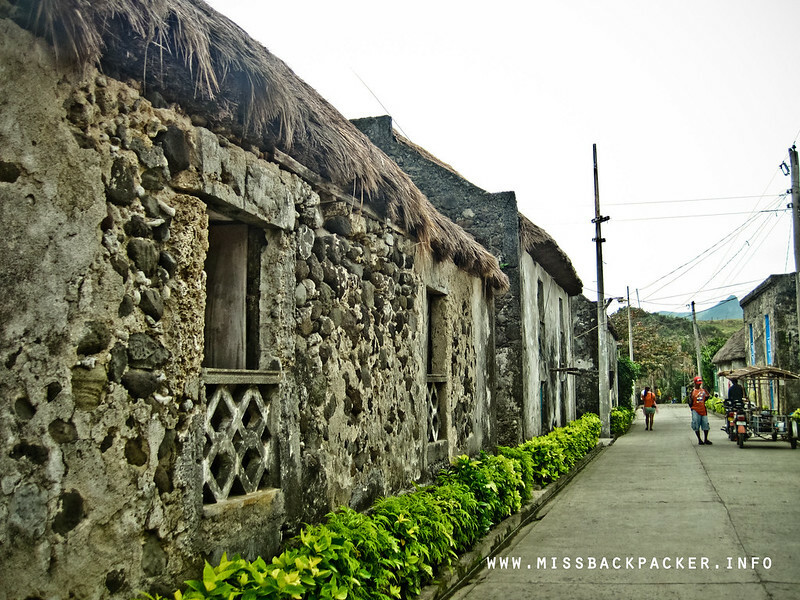 Chavayan Village – It’s the last stop of our day and here is where we spent the night. Before that, most of us were wanting to taste the famous coconut crab or tatus that we didn’t stop until we find locals selling it. Apparently, a visitor must make reservations during off-season because of the high demand of the seafood. Kuya Rudy was so great he was able to make arrangements with some locals who were at first unwilling to sell their catch. The group home-stayed in Kuya Rudy’s abode and also had our sumptuous dinner there. The electricity, just like in Itbayat, is being cut off from 11PM to 5AM. The village’s theater where performances are held. The next day, the group but us woke up early to catch the sunrise. I should create a new blog or change the name of this one to Tamad Travelers. Activities wherein you need to wake up early doesn’t wow me and Rowjie. We’re better off hugging our pillows under the warm blanket than get up before dawn. In fairness to the group’s effort, they were able to capture amazing photographs of the sunrise, photos that you can now find in several travel magazines. 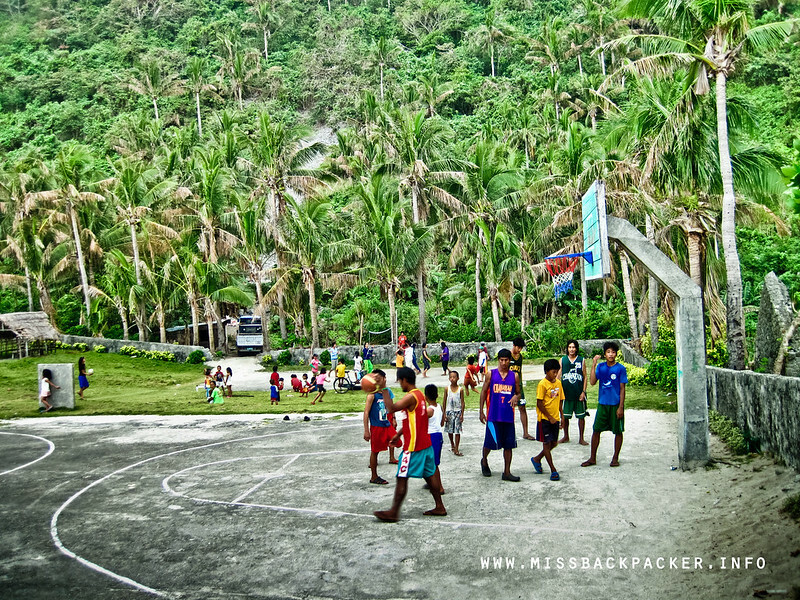 The first thing Rowjie did when we arrived in the village was to look for the locals who he could play basketball with. When they went back, we had our breakfast and then packed our stuff after. We just spent the rest of our time in the village sharing stories, jokes, and whatnots while waiting for our ride back to Sabtang Port for our 11 AM boat ride to Ivana. One of the cutest and smallest tricycle I’ve ever seen. Only in Sabtang! The island, in general, is a very serene place which I hope gets preserved for so many years. I would love my future children and grandchildren to witness the rawness of this island and experience the hospitality of its residents. This gem maybe just one of the hundreds Philippines has but it is unique in its own right and therefore must be cherished and taken cared of. Even the roads are picture worthy! The pretty boys and girls of Chavayan. Left: April and Gian. Right: Owen, Nikka, Rowjie, and Ian. I wonder where Doi was. si doi nag negotiate pa yun kay mamang tricycle driver. lol.